Dutch investigators are sabotaging probe of the Malaysia Airlines flight MH17 crash in eastern Ukraine, former Commander-in-Chief of the Russian Air Forces Pyotr Deinekin told Sputnik on Sunday. The conclusions of the Dutch Safety Board (DSB) on the MH17 crash has not changed after the disclosure of the radar data by the Russian arms maker Almaz-Antey showing that there were no third-party objects in the Ukrainian airspace that could have downed the Malaysian airliner, Dutch Safety Board spokeswoman Sara Vernooij told Sputnik on Tuesday. Later this month, Dutch prosecutors will publish the second part of their probe investigating the July 2014 destruction of Malaysia Airlines Flight MH17 in east Ukraine. Meanwhile, Russian media have gotten ahold of a separate report breaking down the lies and half-truths used by the Bellingcat group to blame Russia for the catastrophe. The Dutch Safety Board (DSB) has closed its investigation into the causes of the MH17 flight crash and is not planning to reopen despite reports and investigations which have been published afterwards, a DSB spokeswoman told Sputnik on Wednesday, stressing that the board had sufficient materials for their report. Dutch MPs have held a parliamentary debate on the ongoing investigation into the 2014 downing of Malaysia Airlines Flight MH17 in eastern Ukraine. The discussion focused on radar data and satellite imagery that US Secretary of State John Kerry claimed the United States possessed and which it called strong evidence. The Russian Investigative Committee stated that the collected evidence on MH17 crash does not conform with the Dutch Safety Board's conclusions. According to the head of Desmond Ross and Associates aviation consultancy, Ukraine has formally met its security assessment obligations in case of the MH17 flight, but the approach to the aircraft's safety in Ukraine's airspace was wrong. 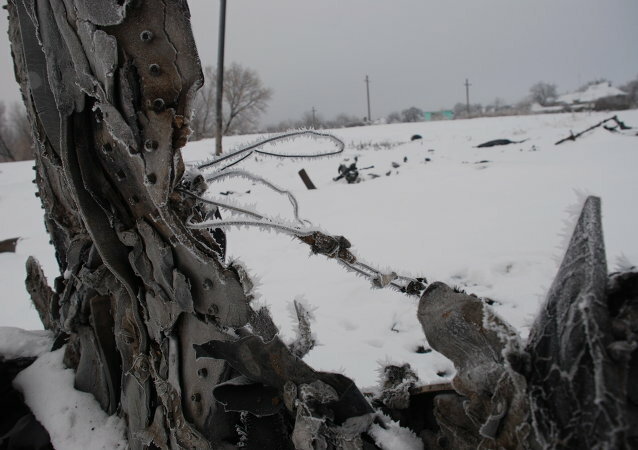 The Dutch Safety Board (DSB) has confirmed the receipt of a letter from Russia's civil aviation regulator Rosaviatsia and is now examining the new facts on the investigation of the MH17 crash over Ukraine in July 2014, DSB spokesperson told Sputnik on Thursday. New facts obtained by Russian experts through an additional study confirm that some conclusions of the Dutch final report on the MH17 crash in Ukraine were unsubstantiated and inaccurate, Russia's civil aviation regulator Rosaviatsia says. Relatives of those killed in the crash of Malaysia Airlines flight MH17 in eastern Ukraine urged Dutch Prime Minister Mark Rutte to launch a global campaign to obtain radar images which may help identify who fired a missile at the plane. Ukrainian President Petro Poroshenko extended the stay of Malaysian experts investigating the downed MH17 passenger jet over Donbass to August 18, 2016, the Ukrainian Parliament announced on its website Wednesday. 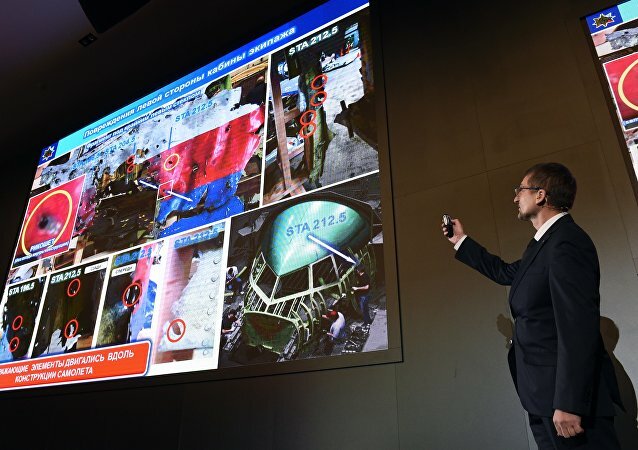 A Dutch Safety Board (DSB) public hearing into the flight MH17 crash will amend the lack of a press conference at the presentation of its final report earlier this month, a Dutch lawmaker told Sputnik on Saturday. The commiittee of the Dutch parliament took the initiative to invite the Dutch Safety Board (DSB) for a public hearing, according to a Dutch lawmaker. The Dutch Safety Board (DSB) which has been conducting a probe into the MH17 crash, was indeed attacked by hackers, but no information about their identities was immediately available, DSB spokesman confirmed to RIA Novosti on Friday. Malaysian Deputy Transport Minister Datuk Abdul Aziz Kaprawi said that the Dutch Safety Board (DSB)’s report on the plane crash was one-sided, and rebuked allegations that Kuala Lumpur was uncooperative during the initial stage of the DSB inquiry. The Dutch Safety Board will visit Kiev on Wednesday to "finalize the investigation" into the Malaysia Airlines flight MH17 crash.